The cat has a strange habit. It is stinging me even now. Talk about love being messy. Which part of "poor kitty' didn't she get? I feel utterly unappreciated, and I cannot argue with or reason with this feline. It is really painful. They are losing loved ones suddenly from blasts that shatter any solidity they may yearn for. Like in the Middle East. They are being judged - first - simply because of their skin colour. Like in many parts of that free land called the US of A. They are worried about being found out, exposed and rejected. Like the guys.gals who wrestle with being emotionally and physically attracted to the same gender. There is simply no salve or solution, but there is this: Jesus enters the pain. I first heard this idea twenty years ago in seminary. In my youthful enthusiasm, the mere knowledge of it made it all so grand. I reached for this truth like it was a trophy and prize and may have uttered, "pain, do your worse for I am not alone!". This cat scratch that still hurts is nothing. Over the years, Pain has thrown tornadoes and whirlwind against my soul and upset it in no small way. Many days I wonder that I still stand. Is he here supporting me so I don't fall? Is he giving me moral support, rooting for me with the "you can do it, coz I did" kind of thing? Is he quietly working out this marvelous outcome, rigging the results while I am having this slugfest in the ring called broken humanity? and endured a pain none of us would ever have to: separation from God as a result of bearing the totality of sin. In every season of pain, I have gone to this Jesus and asked him again, what does it mean that you enter our pain? And I begin to realise that my pain is real. It is being taken seriously. I can talk to him about it. He is deflecting and absorbing some of it I am sure or I would totter and crash. 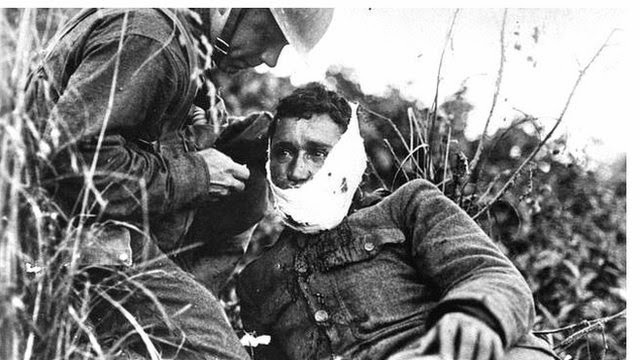 And like a dedicated medic who has rushed to the wounded solider in the trenches, he reaches over and bandages my wounds. He tells me it will heal. I look into His eyes and I believe Him even as the battle rages on. As the bandage goes around the wound, he tells me too that I am to stay in the fight; not let the injury incapacitate me. I lean back and dreamily wish for Lucy from Narnia, coming up and applying her magic potion that would immediately restore me. Sometimes it feels that way. It happens quick the healing. Other times, it seems the wound is going to just gape and mock me. But I arc and lift myself up; everywhere are the fallen and I must not get lost in my own pain....Even though sometimes there's the added burden of someone cussing nearby, another calls you a madman or a clown, others cry and melt down; and still a few yell back, "save yourself", the same words they said to Jesus that he may prove himself smarter and stronger; and if he did he would miss the point of love that dies for the beloved. 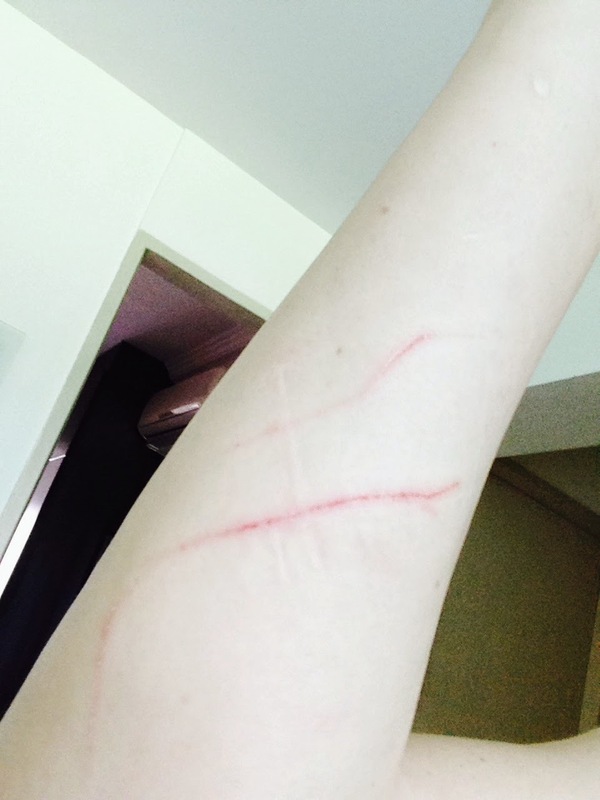 Lesser mortals would kick the cat that scratched. But I am no mere mortal now who contain glory am I? So I too enter into pain and deflect sometimes and absorb at other times. I too learn to bandage wounds and speak valour back into the wounded soul. We are more than the wounded; we are the wounded healers. very thought provoking jenni. i think of the times others have reached out to me trying to help...and i scratched them like your cat did. the same has happened to me as i have tried to help others. jesus entering the pain for me. yes, i know the facts of it but i don't always think about what it must have been like! Thank you Martha for this encouragement! We all scratch some times don't we? So important to let Jesus heal us; and allow His love to compel us to keep reaching out.